Prime Minister Saad Hariri officially declared The Cedar Revolution over yesterday when he announced that Syria was not responsible for the assassination of his father. 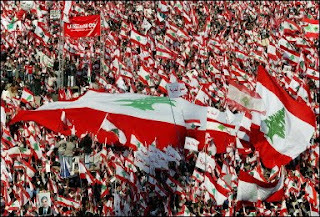 This declaration brings to an end a tumultuous era of Lebanon’s history that lasted just over five years. In truth, the ‘revolution’ had lasted for one month exactly, but it took a much longer time for the realisation to sink in. Hariri’s declaration provided the closure that many had been seeking. "This was a political accusation, and this political accusation has ended," thus spoke Hariri. But a political exoneration is the mirror image of a political accusation. Much as Hariri and his allies were wrong to make the accusation in the first place, he is repeating the mistake now by making this declaration. How can we be expected to believe that the Special Tribunal for Lebanon (STL) is independent when Hariri has just decided to eliminate one of the suspects on his own initiative? Hariri probably thinks that this is a necessary price to pay in order to pacify Syria and re-establish normal relations with its government. Speculation is rife that this is a precautionary measure designed to obtain Syria’s consent for accusing members of Hezbollah of the assassination. Whatever the explanation, it is clear by now that the STL has become a burden and that Lebanon cannot handle the fallout from any serious indictment. Unless some convenient scapegoat can be found, but I will leave the conspiracy theories to the specialists. I will not repeat my initial argument against the STL here, but I will remind of my warning that reliance on external agencies is self-defeating. Let’s remember that in the heat of the moment, Walid Jumblatt was so enthused by the American support that he started talking of regime change in Damascus. Many of his colleagues followed suit and believed that they were on the right side of history. Then the STL was revealed as the ultimate tool of political revenge. This lack of judgement and misplaced faith in the west effectively ended any potential for real change in the wake of Hariri’s assassination and the public anger. The revolution lasted between the 14th of February and the 14th of March. There was a genuine moment of political dynamism but it failed to materialise into a proper political movement: the traditional leaders quickly regrouped around the new slogans and managed to marginalise any potential for emerging leadership. No serious revolution allows itself to be led by the same faces that have been running the country for decades. Once this potential was lost, there was no hope. You can’t teach an old dog new tricks, and the traditional leaders were very old dogs in this respect. As usual, their instinct was to ally themselves with the strongest power on the scene, and so they did. Then there’s the manner in which the revolution itself was conducted. Revolutions are by definition violent aggressive affairs in which the emerging forces in society replace the established ones, and as we’ve seen this did not happen. Revolutions are also unconcerned with appearances, what matters is taking power. But this revolution was different; it was performed for the cameras and according to their scheduling requirements. Whatever genuine anger the Lebanese felt in the early days turned into posturing very quickly, seeing yourself on CNN is very flattering. Our revolution was televised, brother, and that was precisely the problem. 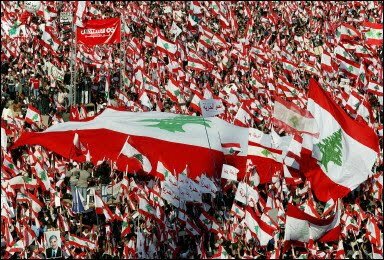 Hariri’s declaration yesterday effectively concluded this episode, the leaders of The Cedar Revolution have finally realised that they cannot handle adventure of this magnitude, so back to the fold then. The price will be once again surrendering another chunk of Lebanon’s sovereignty, but we will once again have a stronger brother to defend against the bullies in the playground. I have no desire to embrace the opponents of the 14th of March movement; they also displayed very little leadership over the past five years and have in turn allowed themselves to be used by external powers. And both sides will now submit themselves willingly to those external powers and accept their arbitration. But hope lingers: next time there will be no compromise, no toleration of rotten leaders and no transfer of responsibility. And perhaps this time the revolution will not be televised.